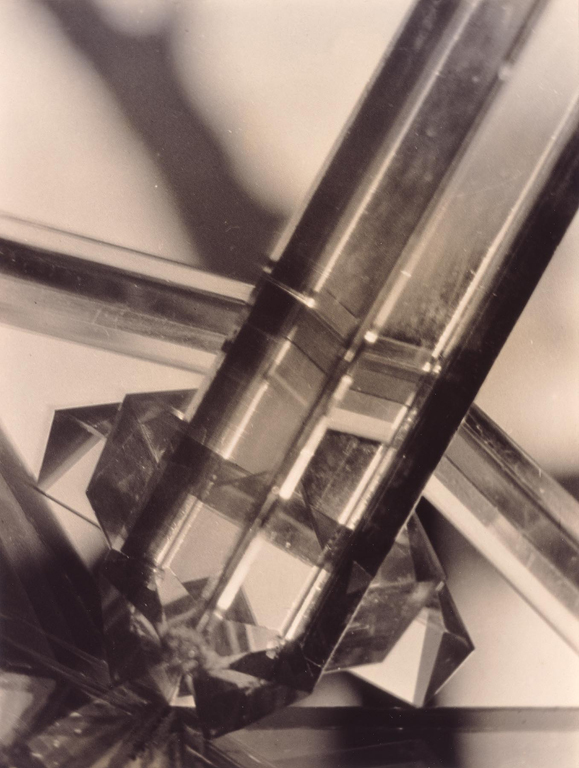 To create the group of photographs he called "Vortographs," Alvin Langdon Coburn constructed a device (the "Vortoscope") composed of mirrors that refracted light bouncing off bits of wood and crystal into faceted planes of light and shadow. The artist's goal was to "throw off the shackles of conventional representation and attempt something fresh and untried." His emphasis on pure abstraction and the title of the series reference Coburn's affiliation with the Vorticists, a group of British artists and writers, including Ezra Pound and Wyndham Lewis, who advocated reinvigorating the creative process through the use of fragmentation and non-representational forms to evoke the accelerating pace of modern life.